Your slow cooker has a talent that goes way beyond transforming a jumble of meats and veggies into a cozy winter meal: It can clean itself! A couple of quick steps is all it takes for this trick. Whether you’ve been hit by the polar vortex or have sympathy chills, you know that these shorter, colder days call for cozy soups and stews. You can make them with maximum efficiency using a slow cooker: Just plop in a mix of meat and veggies in the morning, and by the time you get home you’ll have a well-balanced feast. The heat from the pot and lengthy cooking time combined will tenderize the toughest cuts of meat and the most fibrous veggies. 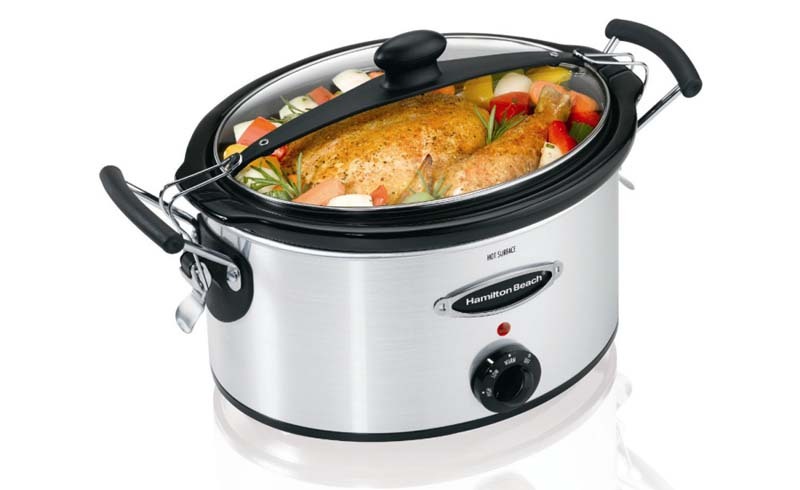 But to get the most out of your slow cooker—and to make you’re not introducing unwanted bacteria—the U.S. Food and Drug Administration stresses the importance of starting with a clean cooker. 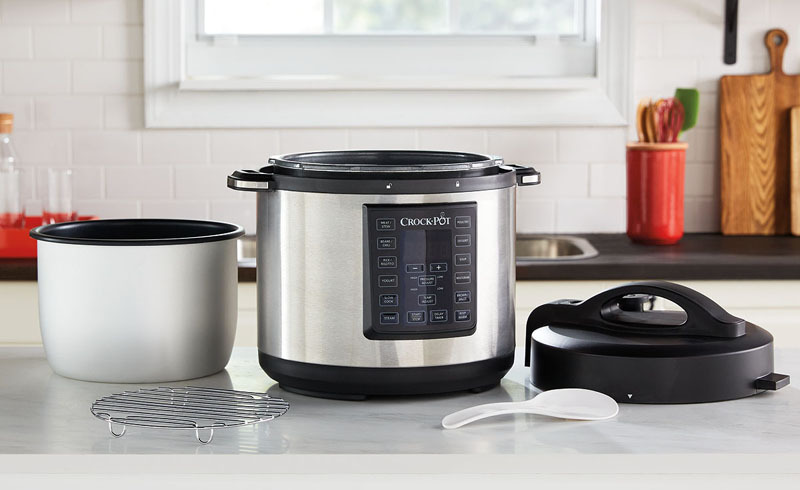 We checked with Crock-Pot, the company synonymous with slow-cooking, and discovered that slow cookers can actually clean themselves. Fill your slow cooker with water to the fill line. For a three-quart cooker, add a 1/2 cup of distilled white vinegar (adjust proportionally for a different size). Very slowly, add a 1/2 cup of baking soda—it will bubble. Cover and set to the lowest setting for one hour. When the hour’s up, just sponge off any remaining goop (it should be all softened up by now, if not completely dissolved), allow the slow cooker to cool, and give it a quick bath in warm soapy water. Allow it to dry, and you’re ready to cook again. Since this is considered a “deep” cleaning for your slow cooker, it’s not necessary to do it after every time you use it. Crock-Pot recommends doing it at least once a year—you could put it on your spring cleaning list. However, since it’s so easy, you can do it more often if you’d like.